Palo Alto-based company is developing a flying car for consumers. Larry Page already holds a stake in Kitty Hawk, the company behind the single-seat flying machine Flyer, and now he invested invested an undisclosed amount in a company called Opener. The 9-year-old company unveiled the BlackFly on thursday. A 313-pound, single seat fixed-wing electric octocopter capable of vertical take-off and landing. The pilot uses a joystick to control the vehicle. 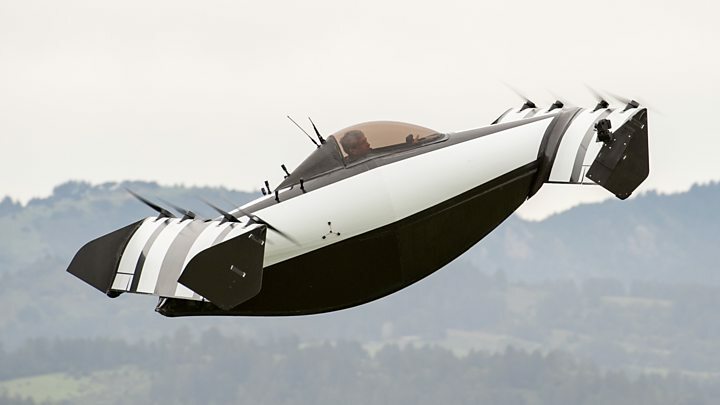 Propelled by eight motors, Opener claims it can fly as far as 25 miles at a speed of 62 mph and is apparently fully amphibious (although it takes off best from the ground). With hopes to begin selling the BlackFly next year, Opener says it will cost about the same as a sport utility vehicle. The company plans to eventually create a shared commuter network of flying cars, which will transport passengers around on demand. Opener says it spent the last nine years building the BlackFly, conducting more than 1,400 test flights, and covering more than 12,000 miles.